This dynamic sculpture by Wolfgang Buttress has recently gone on display at KEW Botanical Gardens in London. On it’s own it looks pretty cool. 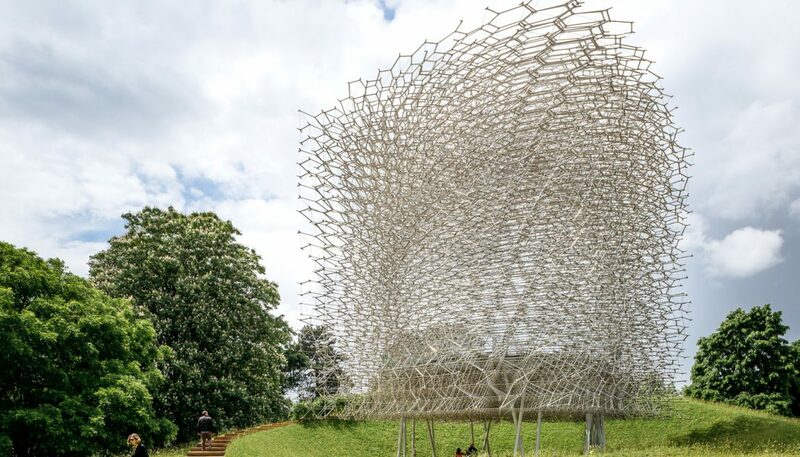 But to make things more interesting, the thing is controlled by around 50,000 live honey bees. This is accomplished by putting sensors in a bee hive and hooking them up to 1000 LEDs. Certainly a very unique idea, and it looks really fascinating. 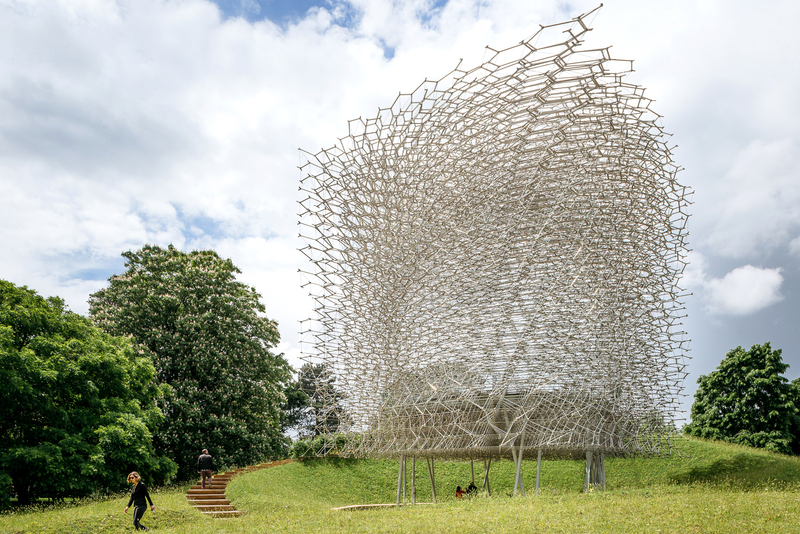 The sculpture which is called “The Hive” was originally created for an international audience at the 2015 World Expo in Milan, Italy. However until the end of 2017 you still have the chance to see it.